Unolution is a project dedicated to create a ONE COMPLETE SOLUTION instead of just another theme. It�s a well thought design includes almost all features to kick start your website and more will be added in each release. Whether you are a startup with limited resources and time or looking to give a corporate look and feel to your next web project or even you are set out to create your personal portfolio site, Unolution got you covered! 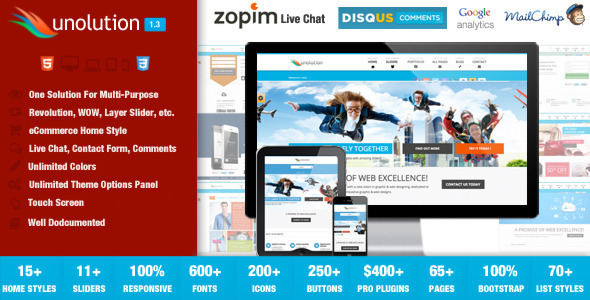 250+ Buttons Including over 150 Social Buttons from Zocial + Bootstrap buttons. Add Spinning icon any where. 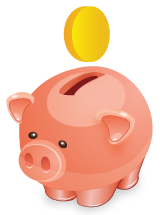 Premium Plugins & Sliders Included � We paid $400 to save you over $100. SlickMap � Visual Sitemap Layout. - (New) Shortcode Page added - Bootstrap Price Tables in 2 styles and various sizes. - Home page style 6 - replaced laptop image with scalable icon and added map markers. - home page style 8 & 9 - app download buttons static image replaced with official app download badge with id input option.